Way way back, many moons ago in the distant memory that was December ( it feels like a life time ago, pay day where are you?) 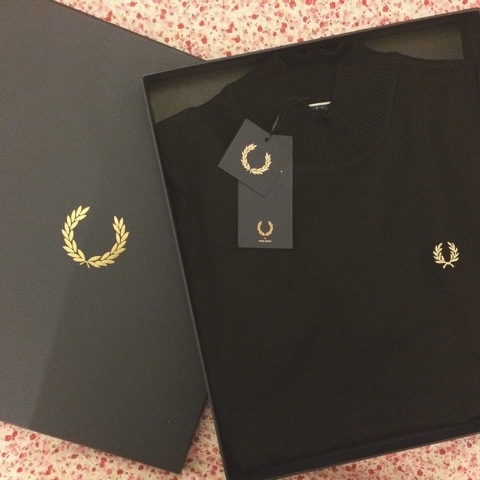 I was lucky enough to receive an early Christmas present from the lovely people at Fred Perry. A very dreamy and extremely classic black turtle neck straight from their "reissue" collection. It's timeless and I couldn't be more pleased with the little treat. I figured it was only right of me to show off how I decided to wear it. 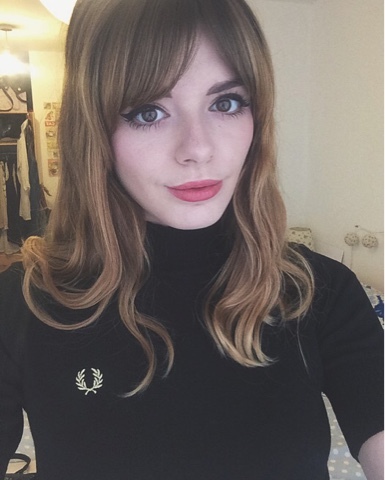 The obvious way to wear Fred Perry is to follow the mod/skinhead roots of the brand and that's great, there's nothing wrong with that what so ever. 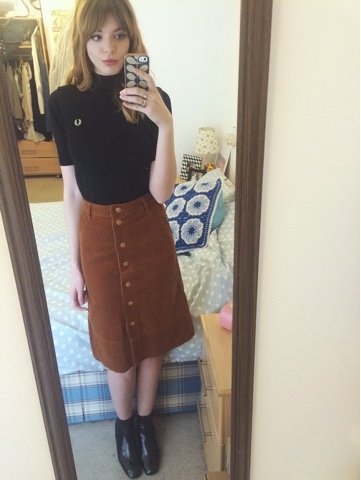 It's that wonderful skinhead heritage that we all adore about the brand! 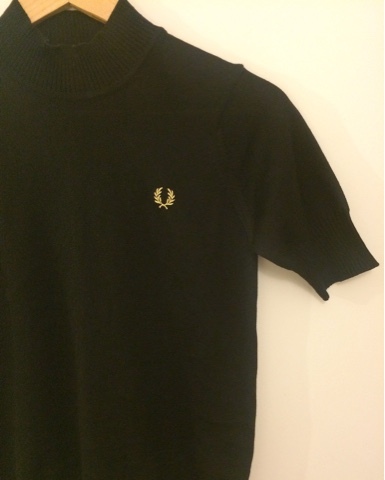 But sometimes it's nice to break out of that formula and away from the "Mod scene" subculture of the brand, after all Fred Perry consistently make extremely versatile classic pieces that can be worn a million different ways. The turtle neck I received I reminded me of 1950's knitwear, with its short arms and high neck and so I decided to wear it a little more feminine than I'd normally wear a bit of Fred. In a happy accident I kind of went with a mish mash of decades; a fifties knit tucked into a seventies mustard cord midi skirt (bare legs optional, going tight-less in January weather is not for the fainthearted) and my favourite, a sixties style black patent Chelsea boot. 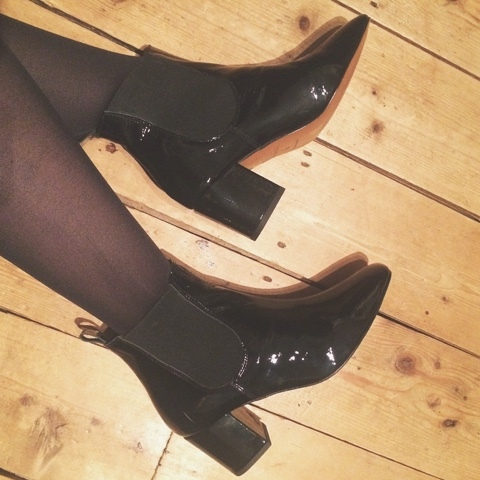 I personally would advice trying to avoid tights if possible and to wear some sort of a heel with a midi such as this one, to avoid look mumsy and/or frumpy. 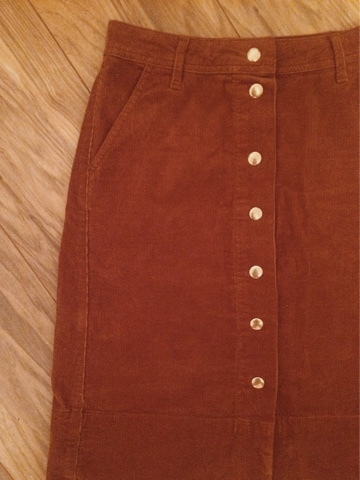 It's totally dependent on the skirt of course! A midi and a trainer is a tasty combo but at the risk of digressing, that's a whole different ball game and I'll most likely cover it somewhere along the line but not on this occasion my friend. I love this overall look. 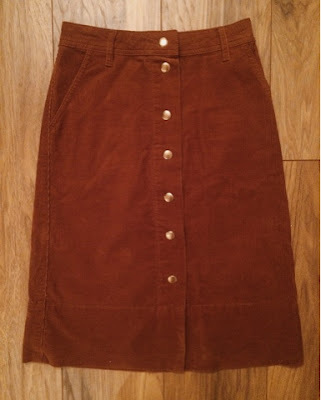 There's something a little chic about it and I feel there are very few times in life you can call a bright mustard cord skirt chic, but hey ho this is one of them! And so thank you so much team Fred Perry for my timeless investment piece (without me investing), I'll be wearing it for years to come!